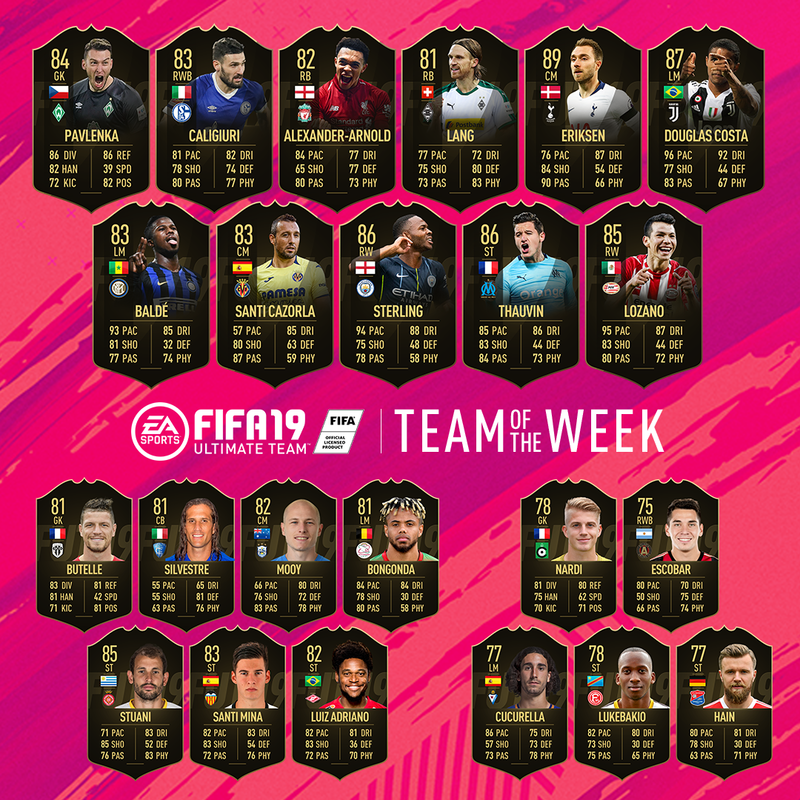 EA Sports has just revealed the latest FIFA 19 Team of the Week with four Premier League players making the grade. Liverpool's Trent Alexaner Arnold gets the nod after his clean sheet and superb free kick against Watford, Christian Eriksen also features after his starring role against Chelsea at the weekend. Raheem Sterling's goal against West Ham is enough to gain him a starting spot, with Huddersfield Town's Aaron Mooy on the subs bench. Other notable inclusions are former Arsenal midfielder Santi Cazorla, as well as Juventus' Douglas Costa and Inter Milan winger Keita Balde. TOTW 11 will be available in packs from 28th November at 18:00 GMT until 18:00 GMT on 5th December.